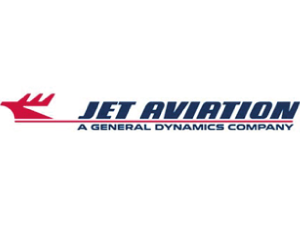 Raleigh, NC (March 2014) – Jet Aviation, a division of General Dynamics (NYSE: GD), selected Noverant’s learning management system to support their Part 145 maintenance, repair and overhaul (MRO) operation. Aircraft systems and technologies are evolving at a rapid pace. Original equipment manufacturers (OEMs) challenge MROs to keep up in this fast-paced high-tech world. The result is that any professional who works in the MRO industry is required to reach and maintain a high level of proficiency in a rapidly changing environment. Establishing a comprehensive and cost-effective learning management system is critical to any leading MRO such as Jet Aviation. Jet Aviation is a recognized leader in the business aviation industry and specializes in maintenance, completions and refurbishment, FBO, aircraft charter, aircraft management and aviation staffing. Its world-class maintenance services are provided for large-cabin aircraft from its MRO hubs in Basel, Dubai, Singapore and St. Louis, complemented by other maintenance bases in EMEA, Asia and North America. While the aviation sector has traditionally focused on training management, the concept of learning management is relatively new in the industry. Noverant is a pioneer in providing learning management services to address the diverse needs of air carriers, repair stations, MRO providers, flight schools and other regulated or safety-sensitive operators. In addition to providing basic training and compliance management services, Noverant uniquely offers real-time analytics to help organizations measure the effectiveness and cost of training programs.